Labradorite is known for its iridescent sheen, ancient people believed that labradorite formed when the Northern Lights became trapped in the stone. 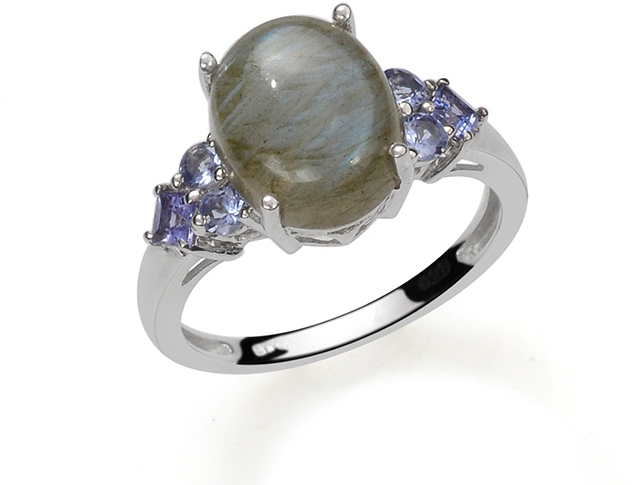 Historically it’s believed labradorite was first discovered on St Paul’s Island in Labrador, Canada in 1770. Labradorite is mainly known to be blue, but it can also be found in white, grey, blue, green, orange, red and black. Labradorite is from the feldspar group of minerals, and it’s found in igneous rocks. Its unusual flashes of colour are caused by internal fractures that reflect the light in different hues. This iridescent play of colours is known as the Schiller effect. Some believe labradorite strengthens our energy, allowing us to fight off negative energies. It’s also thought by some that labradorite calms an overactive mind, energises the imagination, and brings balance to a hectic life.